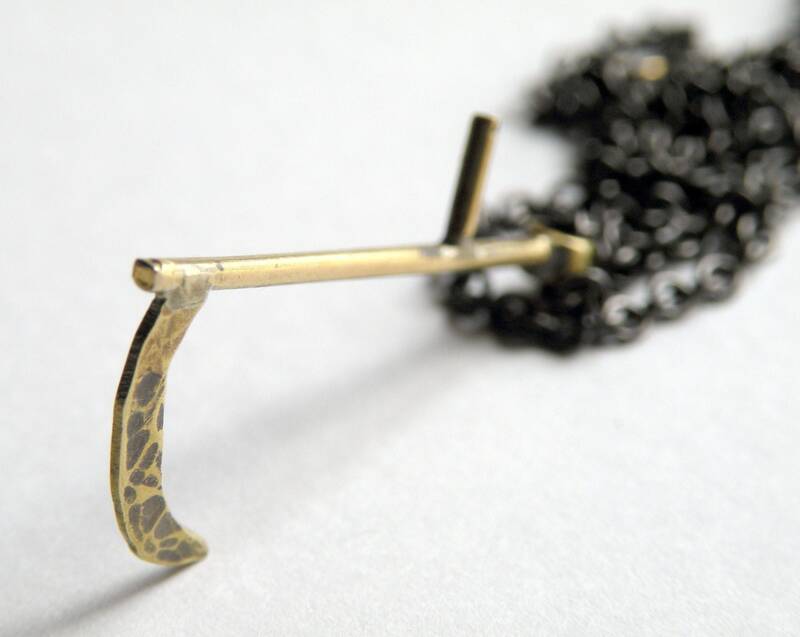 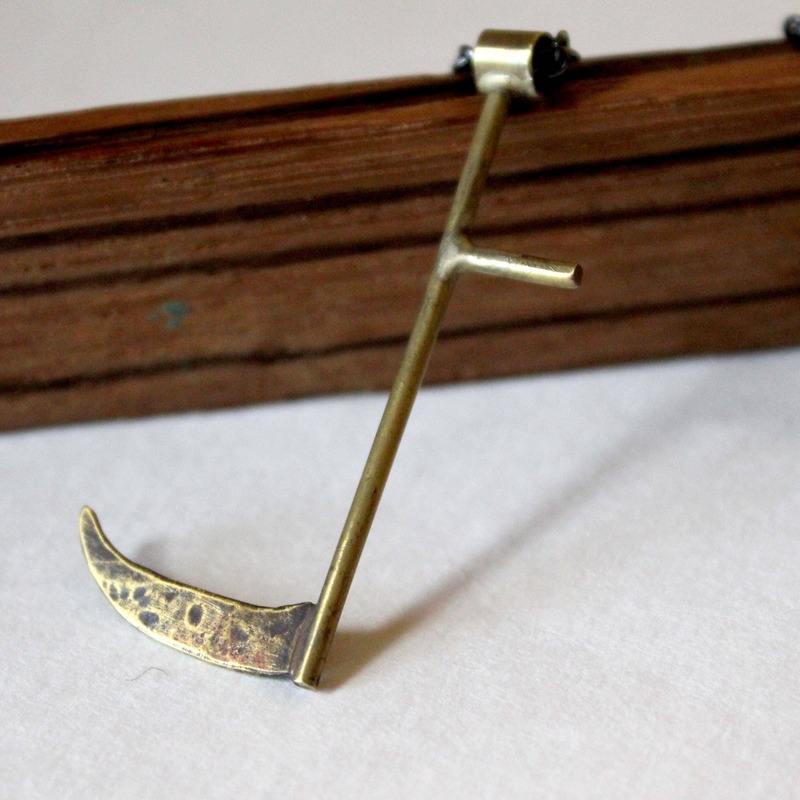 Brass and bronze components have been carefully fashioned into a small scythe. 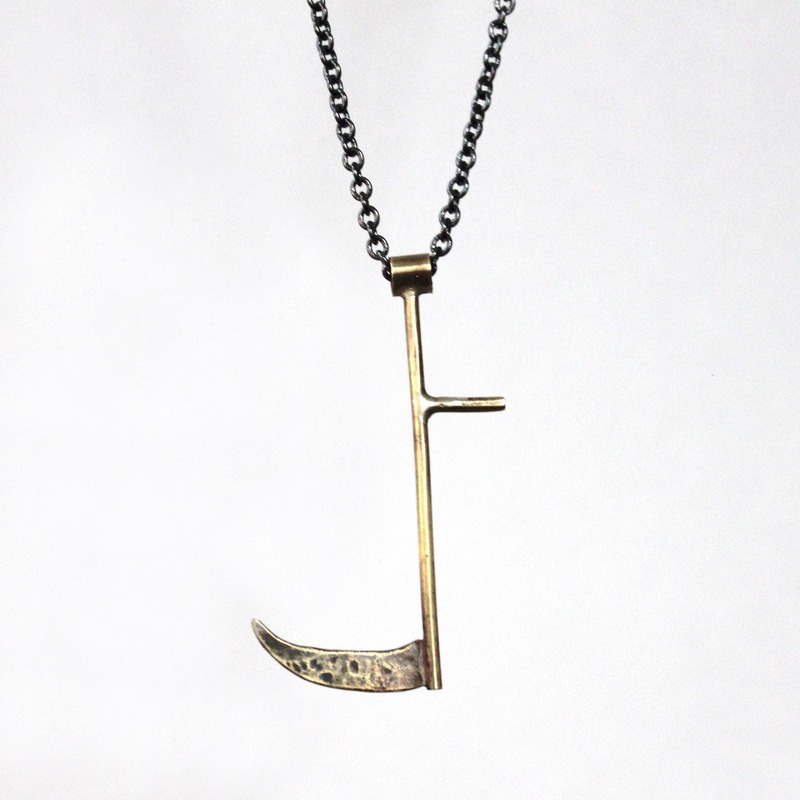 The pendant measures 1.75" long and .75" wide. 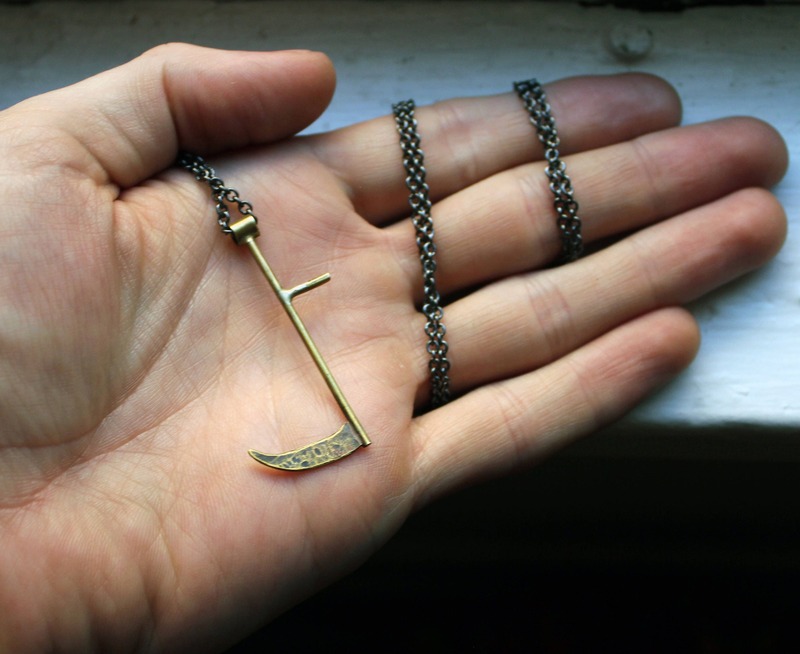 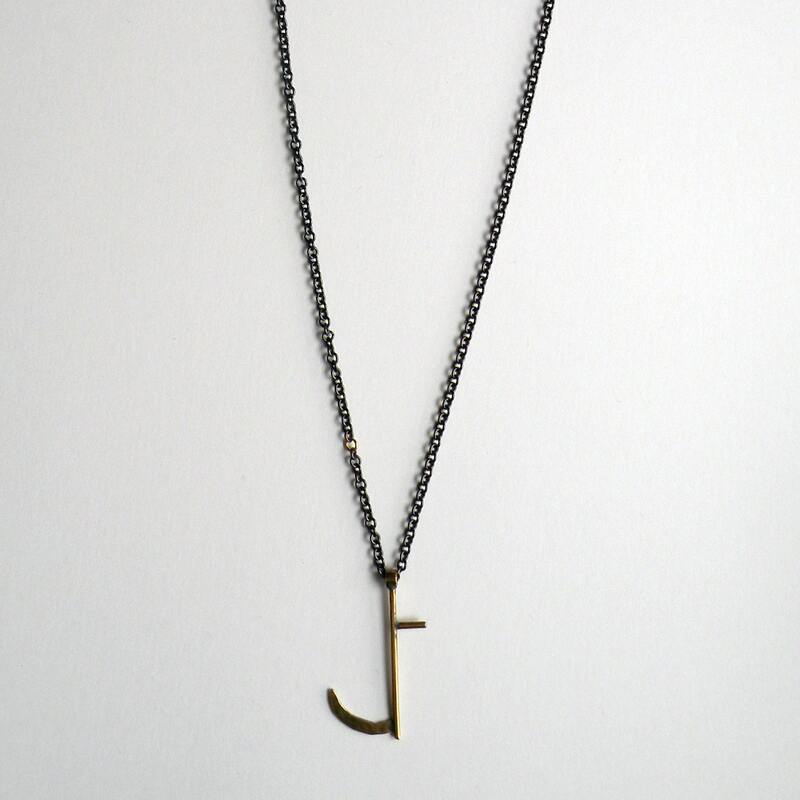 It hangs on a gunmetal chain approx. 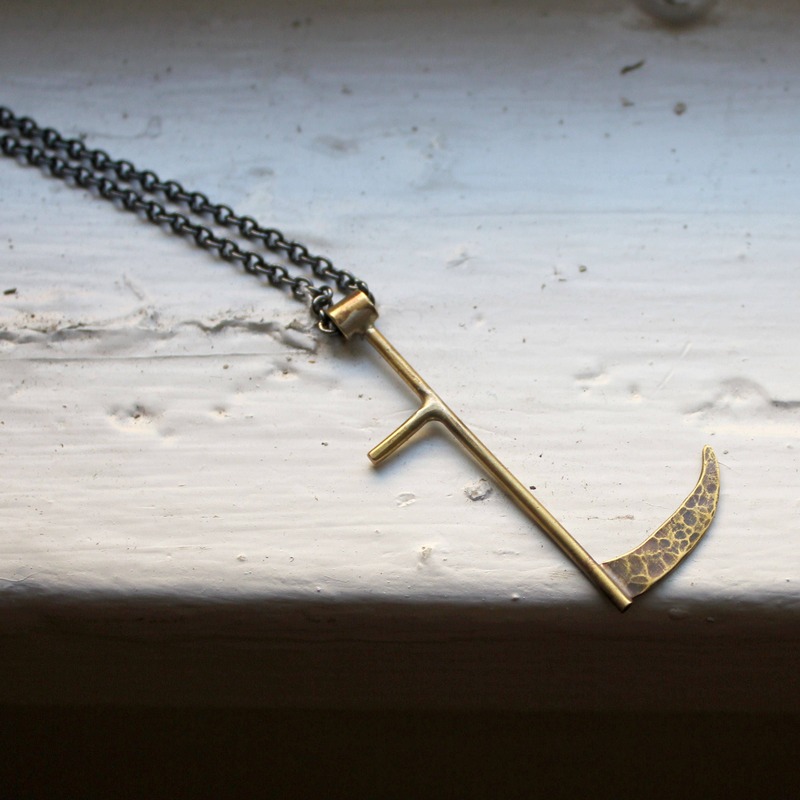 26" in length with one brass link. 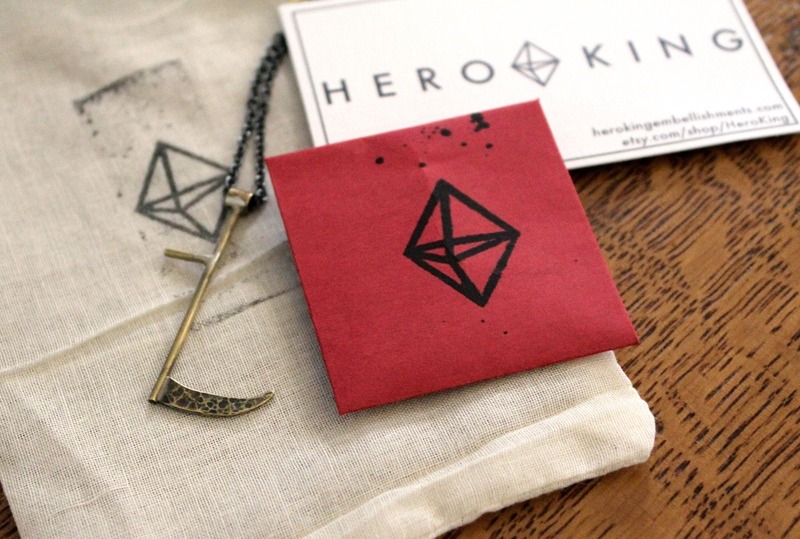 There are no two completely identical HeroKing Embellishments, that's what makes it exciting!